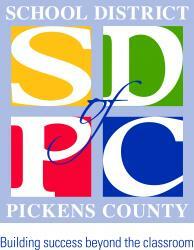 The School District of Pickens County is a county-wide school system, serving all of Pickens County. Located in the northwestern section of South Carolina, Pickens County contains an area of 504 square miles. The terrain varies from steep mountains in the north, including the state's highest mountain Sassafras Mountain (3548') to gently rolling hills in the south. The waters of Lake Hartwell, Lake Keowee, and Lake Jocassee comprise the western boundary of the county. The district is composed of five (5) attendance areas: Dacusville, Daniel, Easley, Liberty, and Pickens with approximately 16,000 students.